Masters champion Danny Willett says Muirfield voting to admit women members for the first time is a "great thing". Members at the privately owned golf club voted 80.2% in favour of updating its membership policy on Tuesday. Golf's ruling body, the R&A, removed Muirfield as a host venue for the Open Championship after it chose to maintain the ban in 2016. 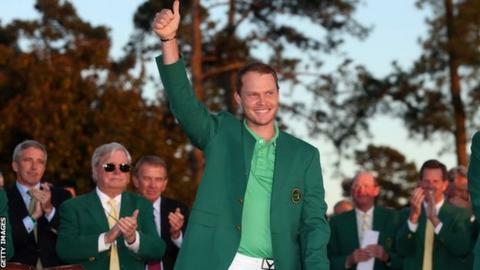 "It shows how times have changed, it shows golf has changed," said Englishman Willett. "When the vote was passed that females weren't going to be allowed and they were going to be taken off the Open rota, it was not only a blow for a lot of other things, it was a blow for us golfers who think that golf course is one of the best Open courses. "It's a great thing that they've done." Willett, 29, will defend his Masters title at Augusta between April 6-9. Last April, he claimed his first major by three shots on five under par, becoming the first British winner since Sir Nick Faldo in 1996, but has struggled recently and says his form is "nowhere near" what it was. He does not expect a backlash from American fans after he was forced to apologise last September for an article written by his brother, Peter, in which he called American Ryder Cup fans a "baying mob of imbeciles". Europe went on to lose 17-11 at Hazeltine. "I've been in America and played a couple of events and the American fans have been great as you'd expect," added Willett.